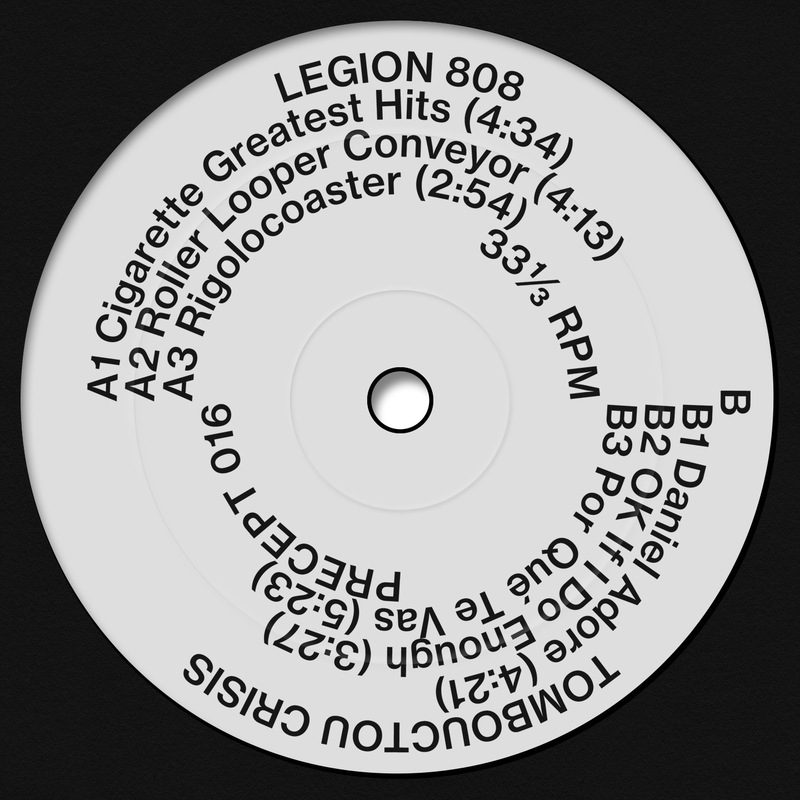 Long time kept in the pipelines, we are proud to welcome the discreet, although agitated newcomer Legion 808 conveying his debut vinyl release on the label. 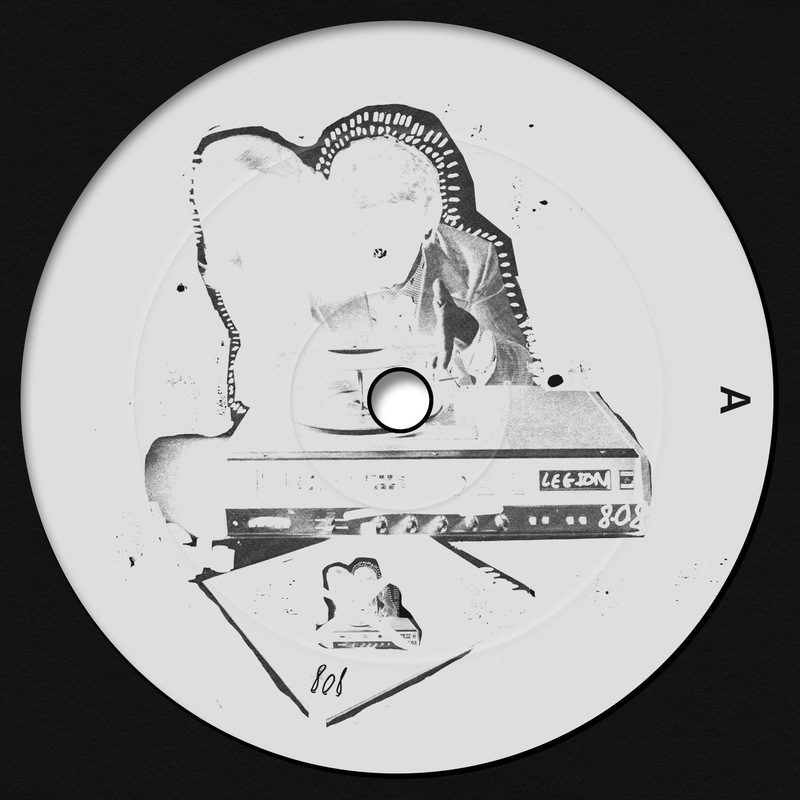 Composed while stuck in some kind of hallucinated trance, his mind and body cemented behind the four walls of his Parisian apartment, the Frenchman ultimately unleashes a scathing first entry into his discography. Taking the shape of a vicious six track mini-album, long brewed with ruthless humor, oozing fever and nervous breakdowns, Tombouctou Crisis feels as vigorous as a slap in the face. Making up for some of the best industrial bedroom music we've heard as of late, he always manages to find his way back to the surface throughout the many layers of bizarre grooves and caustic humor, zealous snare attacks and strange nursery rhymes. Only to uncover a depressurized atmosphere of sorts; from which a strong smell of burned asphalt never gets off your clothes. Plays at 33 1⁄3 RPM. Written, Produced & Mixed by Gautier Biteau in 2016-2018.